What’s in a Name when the Name is Austen? There is a writer’s meme that turns up frequently in social media. Numerous variations of this exist, but they all boil down essentially to this: “Be careful, or I’ll put you in my novel.” It’s an amusing threat; harmless, but well within the power of an author. I was reading through a biography of Jane Austen and was struck by the frequency with which she used her sibling’s names in her novels. It can be no coincidence. Austen was precise in everything she wrote. That fact that her sibling’s names are scattered throughout her works could be no accident. Many of them are common names to the era, and as a virtually anonymous author, the public wouldn’t catch on. Was it an “inside joke” she could share with her siblings? She borrowed other elements of their life circumstances and situations as well. It’s impossible to know what she thought when she made these choices, so for today, I’ll lay them out for you, share a few thoughts and allow you to reach your own conclusions. James was the eldest of Austen’s siblings and followed in his father’s footsteps to become a clergyman. With both a father and brother who were clergy, it’s no surprise that Jane would have characters who were bound for the clergy, including some of her heroes. For me, that is the takeaway from this brother, although, like all her siblings, there are characters named James, there are only two of note.James Benick, whose first love died while he was away at sea and then married a much lesser woman in Louisa Musgrove. Interestingly, James’ second wife, Mary, was not a favorite with our dear Jane, and although Mary wasn’t an actual sibling, I wonder if some of the negative traits of Marys in Austen’s novels may be a reflection on her dislike. James Moreland in Northanger Abbey likewise fell in love with Isabella Thorpe one who proved unworthy of him. Interesting. George was a sorrow for the family, with disabilities that resulted in him being sent away to be cared for elsewhere. It’s a kingly name though, and we find it echoed in the characters of both George Wickham and George Knightly. An extroverted villain and an introverted hero. Edward Knight: Edward was adopted by Mr. Austen’s patron and took his surname as a result, and ultimately inherited both Steventon and Chawton, the two homes where Jane was born and died. Edward’s wife Elizabeth was lively and cultured, and they often welcomed Jane and Cassandra into their home. We find his namesake in Elinor’s hero, Edward Ferrars, a man whose inheritance was also dependent upon the pleasure of another who was ultimately disinherited. The name shows up again with Edward Wentworth, the clergyman brother of Frederick Wentworth in Persuasion. Could there also be a hint of Edward’s backstory in that of Emma’s Frank Churchill and Sense and Sensibility’s John Willoughby? Both of these characters were driven by selfishness and the whims of the relations who held the purse strings – the very opposite of Edward Ferrars. Henry Thomas was Austen’s favorite brother. He was witty and optimistic and assisted her in publishing her novels, even hosting her at his London home when she needed to be in town to meet with her publisher. She gave two major characters the name of this favorite brother, and just as she did with George, they are polar opposites although both are charming. Henry Tilney comes across to me in his gentle teasing and nudging Catherine Moreland as part older brother and part romantic hero. I wonder how much of Jane’s relationship with her brother Henry has cropped into the portrayal of Henry Tilney. Considering that the expectations of the Austen family were that he would enter the Church, the vocation of Henry Tilney is another facet that is similar to her brother Henry, who took a roundabout course to the church but did end up as a country curate. Then we have Henry Crawford, another villain with the same Christian name as a hero. We also see several minor characters with the name of Thomas, primarily Sir Thomas Bertram and his heir Tom Bertram along with Thomas Palmer. Francis William went by the name of Frank. By this point in the Austen birth order, there is nothing left in the coffers for a younger son, so Frank Austen went into the Navy. 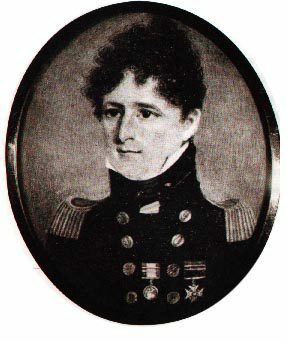 His Naval Career was distinguished, and he not only became an “Admiral of the Fleet” but was also given a knighthood and therefore the title of Sir Francis Austen. Austen used the name Frank just once with Frank Churchill, but we see the name William frequently. The story of William Price, Fanny’s brother’s early life bears undeniable parallels to Jane’s own brother William. Interestingly, the name Fanny is often a derivative of the feminine version of Francis – Frances. Another William we find in Austen’s novel Persuasion is William Walter Elliot, the heir presumptive of Kellynch Hall. 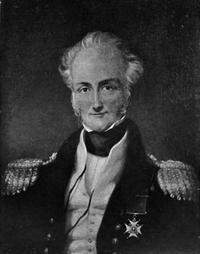 Note that he is the romantic rival of Frederick Wentworth, a hero whose naval career is seemingly modeled after Francis’. To one man she gave the name, the other, the history. Lovely choices, don’t you think? In Pride and Prejudice, she gives us the polar opposite of everything she would likely associate with the name William in the comical character of the Reverend William Collins. He’s not a villain, per se, but certainly is no hero. But let’s look at the name of the hero of that work: Fitzwilliam Darcy. I’ve talked before about that name, the surname of Fitzwilliam and all that is associated with it, but there are many such surnames in Great Britain. Why Fitzwilliam? I can’t help but say the two names aloud: Francis William, Fitzwilliam. Similar enough that I can imagine it being yet another way to sneak a sibling name in as a hero. Charles John was Jane’s much loved younger brother who also pursued a naval career which was less distinguished than Francis’ was. Are there shades of him in the amiable Charles Bingley and Charles Musgrove? Austen gave two of her heroines a brother-in-law named Charles. A look at his middle name finds echoes in the generous Sir John Middleton and the roguish John Willoughby. Again, we see, in the same novel, two characters sharing the same name with two opposite natures. Since this is a pattern we see over and over, I suspect that it was by design. Last we’ll consider Cassandra Elizabeth. It’s impossible not to note that one of classic literature’s most beloved heroines shares a name–at least the middle name–of Austen’s only sister. Elizabeth Bennet. She gave that Elizabeth one of the happiest endings I can imagine. Love, esteem, respect and temporal blessings beyond anything she could have imagined. Of course, she had to give us an opposite character down the line in Persuasion in the person of Elizabeth Elliot. There are numerous minor characters who share the names of Austen’s siblings. Wouldn’t it be fun to be a fly on the wall in the Austen household as they discussed Jane’s latest sibling namesake? I’d love to hear your thoughts on this topic. These are just observations in a game of dot connecting. Thoughts? 25 Responses to What’s in a Name when the Name is Austen? Frankly, I think she didn’t put much stock in names. except in one or two cases such as Richard. There are something like 5 MEN named Charles in Persuasion. She seems to have lit on her family’s names as being ordinary and used them. It is hard to come up with names for characters so using family members ‘s names is an easy out.. Cassandra is only used in her story of the beautiful Cassandra, dedicated to her sister.George could be a villian or a hero. Thanks for commenting, Nancy. I usually think of Austen as always having a reason for something as meaningful as a name, but you may be right. Perhaps she took the easy way out. It’s fun to speculate! Thanks for a fascinating blog. I often see traits in people I know and think “that would make an interesting character in a book.” JA certainly was a great observer of humanity. Right you are! I’ve thought the same thing. Although my stories have yet to be published, I can’t resist using names of people I care about. Darcy’s Melody is dedicated to my sister, Melody who passed on almost 7 years ago and here she made it into the title. My niece Jessica, Melody’s 3rd daughter was one of my betas and I used her as Darcy’s supportive cousin, Lady Jessica, in the same story. My brother James captured the first name of Darcy’s father instead of the favored George. My mom, Jean, in Mrs. Jean Annesley, not to mention my little grand niece, Lylian, is Lady Lilyan, Georgiana’s school friend. I even cast my husband, Gregory, as Lord Matlock, something he didn’t particularly care for until I told he he was rich. LOL. How’s that for nepotism! Then from the D&L forum, my good friend Carmalee made it into my short comedy, Blame it on the Squash, as Darcy Senior’s cook, Carmella, and then again as Lady Anne’s French maid, Camille, in Lady Anne’s Quilt. The list goes on and on and I used these names, not because they were anything like my characters, but just because I love them and just wanted to honor them in a small way. Crazy me! Jen Red ? Oh Jen, I love this! To honor one’s friends and family in this way let’s them live forever in your work. Thank you so much for sharing these examples. See how much like Jane you are? Diana, thank you for this fascinating post! Thank you for stopping by to read it, and commenting so we know you were here. I appreciate your (as ever) kind support. I had no idea Jane had a sibling with disabilities. Fascinating, especially as my next post will be on the treatment of people with disabilities in Jane’s time. Do you have any links with information about George? Thnaks for sharing this fascinating information with us, Diana. A couple of years ago, I read Claire Tomalin’s biography of Jane Austem and it was then that it first struck me about her use of family names for her characters. Reading about her cousin Eliza de Feuillide, later to be her sister-in-law when she married Jane’s brother Henry Thomas, it seemed to me that she also put their personalities into her books as well. I can see both Mary Crawford and Lady Susan Vernon in Eliza and possibily a little of Elizabeth Bennet, too, though I think Eliza was much too worldly for a direct comparison. I did read a little bit about Eliza de Feuillide when I was reading up on Austen’s brothers for this post. I may have to add that biography to my TBR list – you have provoked my curiosity! Thank you for a fun post, Diana. Glad you enjoyed it, Gianna. Thanks for taking a minute to comment too! It was funny that this post came up today. I’ve just finished a Memoir of Jane Austen written by her nephew and it includes some of her letters. Reading through it I was struck by the names and descriptions of people she met. I could almost match them with characters in her books. so she definitely used parts of people she knew. I like the connections you made with her siblings and her characters. Now that it’s been pointed out I can see it. Great post. Oh! I know exactly the memoir you’re referring to – it’s on my TBR list, but I haven’t read it yet. I may just have to bump it higher now. Thanks for sharing that, Teresa! I never noticed this before. Great observations. I’d only semi-noticed it before. It was really fun to search out the instances of these names and discover this dimension of Jane’s writing. Interesting post, Diana! I had never thought of possible connections with the names beyond Jane and Elizabeth Bennet, who seemed to have their personalities switched versus the names of Jane and Cassandra Elizabeth Austen. There’s no question that JA was an astute observer of human character and interactions, but I never put thought into her name choice beyond a very few characters. Thanks! That is a fantastic observation about Jane and Cassandra. I left out Jane herself in this post, because she’s not her own sibling, but I do think you’re right about this one. Thanks for adding to the conversation! I am an only child so there are no brothers or sisters to torment in this manner, but several of my friends’ names appear in my novels. For minor characters, I often simply look up at the TV (which is on but not watched in my house ~ a form of white noise) and choose the name of a newscaster or a plumber or a personal injury lawyer – whatever is on at the time. LOL! Needless to say, I make some change to the spelling or to the person’s first name before I use it. Very interesting post! Isn’t it great to think that Jane thought of her sister and forever immortalised her in the form of a character that holds a special place in the hearts of many,the one and only, Elizabeth Bennet. Found it very interesting to read that different and indeed contrasting personality traits were assigned to characters bearing the same name. How different,indeed,polar opposites are Elizabeth B and Elizabeth Elliott! A clever lady,was our dear Jane! Thank you, Mary. I agree that of all the characters whose namesake is a sibling, Elizabeth Bennet is the one who holds a very special place in many hearts. It shows us the esteem she felt for her beloved Cassandra, doesn’t it?